Do you or your organization need training? The Healthy Homes Coalition offers a wide variety of trainings for professionals to help them join the effort to provide safe and healthy housing for children. 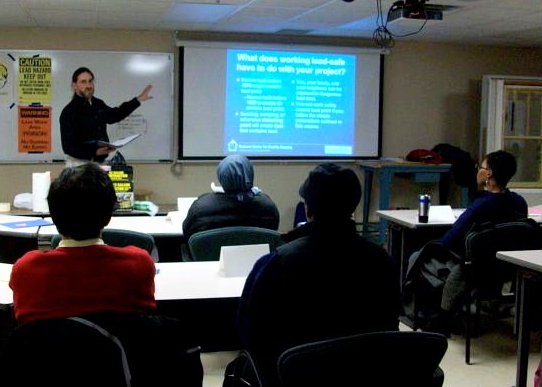 Specialized trainings are offered for professionals from such wide ranging fields as health care, social work, community development, housing, and others. Healthy Homes is a partner in the National Healthy Homes Training Center. Many of the trainings we offer utilize curriculum written by national experts, and our instructors are trained by them. Other opportunities are tailor-made for specific needs. See the sidebar on this page for current training opportunities. Does your organization need professional development in the area of healthy housing? If so, contact us today.